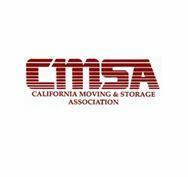 ​Our friendly staff can assist with questions about our services and also arrange a complimentary moving quote. Organizations of all kinds trust Atlas as their preferred moving company which has earned the company the designation of "Corporate Mover" in the industry. 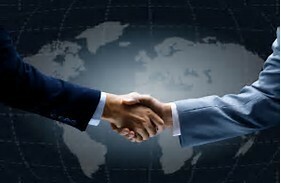 understanding of the services required for successful employee transitions. We understand that you have a corporate relocation policy to follow and with our years of experience we are adept in reviewing policy provisions and their directives keeping the move in compliance with your companies regulations and budget. 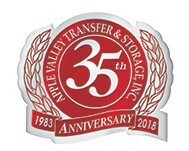 While you stay focused on your career and family, Apple Valley Transfer and Storage will help keep everything in balance as you relocate. It's our specialty! Wherever you are are going, Atlas can relocate you anywhere in the world. If it is an international move, our experts can answer questions you may have about language, customs, currency, and residential requirements. ​As the trusted "Corporate Mover" we work very hard to maintain our title, therefore always keeping up-to-date with all the latest innovations and technologies that will create long lasting relationships with all our customers.